HTC has now released another teaser video of the upcoming HTC Desire 10 series of smartphones, rumoured to be the Desire 10 Lifestyle and Desire 10 Pro. 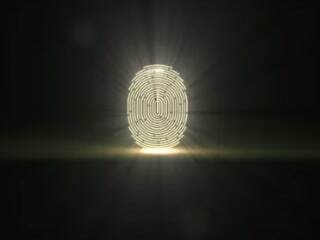 The video confirms that the two smartphones will sport a fingerprint scanner, and be launched on September 20 at 8am BST (12:30pm IST). The video comes with the tagline #BeEdgier and begins with confirming that the Desire 10 smartphones will sport a fingerprint scanner. This information is again not new, because previous image leaks also show the scanner at the back. Previous leaks suggest that the HTC Desire 10 Pro is the premium variant of the two smartphones. It will sport better specifications than the HTC Desire 10 Lifestyle, but comprehensive details aren’t available at the moment. The HTC Desire 10 Lifestyle, on the other hand, is rumoured to feature a 5.5-inch HD (720×1280 pixels) display. The smartphone is allegedly powered by a Qualcomm Snapdragon quad-core SoC, and is pegged to come in two RAM/inbuilt storage variants of 3GB of RAM/ 32GB of storage and 2GB of RAM/ 16GB of storage. It is expected to run on Android 6.0 Marshmallow out of the box. As for the camera, the HTC Desire 10 Lifestyle is expected to include a 13-megapixel rear camera with a BSI sensor and an LED flash. It also offers a 5-megapixel front camera that offers 1080p video recording. The HTC Desire 10 Lifestyle is expected to launch is several matte colour options, and will reportedly support BoomSound Hi-Fi Edition stereo speakers with 24-bit system audio.